At Kristal and Forche Orthodontics we sometimes see patients that are missing teeth because they failed to develop due to a family hereditary condition. Other times, the “missing” tooth isn’t really missing at all; it’s hidden underneath bone and gum tissue because it’s blocked or impacted by other teeth. In either situation, space must be created or closed, depending upon circumstances, to improve the bite and aesthetics. If not, then other teeth will gradually drift into the spaces, creating a bite problem and misalign teeth. 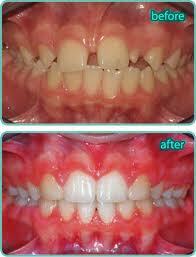 Luckily, both problems can be treated with orthodontics.